DC Universe Classics Wave 12 has been revealed in the latest issue of Toyfare!. A newly-sculpted Darkseid will be the collect and connect figure. DC Universe Classics Wave 12 revealed! 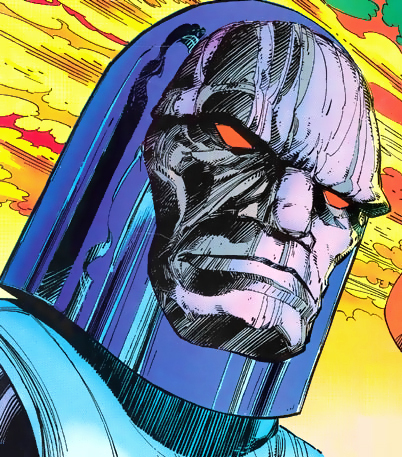 Darkseid would be awesome to have. Too bad the stores around haven't carried any new DCUC figures since wave 5-6. Whats the frigging use I will never see them. Matter of fact half of the DCU collectors will not get them either. 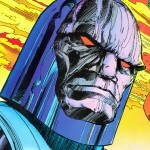 Darkseid will be awesome, though I'll probably have to go to ebay for him. Unfortunatly as a completest I will have to buy them all, but this line in many ways leaves me cold. the specter will be cool.. I wonder which mary they will do or Doc Midnite for that matter. A useless new gods and almost as usless metal man. heres a thought how about some teams we actually want? eclipso ok, when was the last timehe was in a book? Whoa...C&C Darkseid...I knew the 4H wanted to do one but this is awesome it's actually happening now!